Cozy cabin rentals that offer a comfy take on summer camping. The arrival of camping season can inspire cheers from some members of the family, but tears from others. Fortunately, there’s a solution to the great divide: redefine your definition of camping. 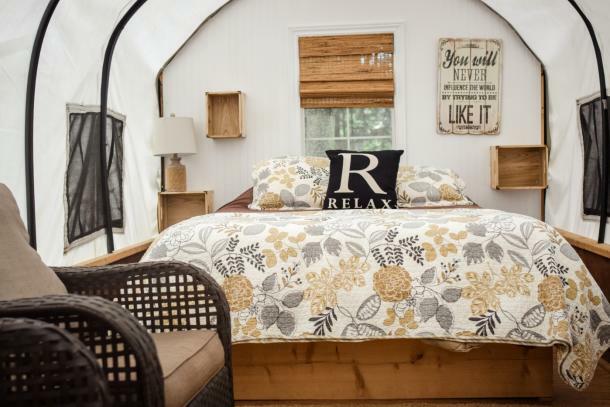 Renting a cabin can elevate your camping experience from down and dirty to a relaxing rustic retreat with creature comforts like comfy beds, covered porches and a nice, hot shower. Tried and true camping fans will still get to enjoy time around the campfire and find all kinds of fun in the great outdoors, and everyone will go home a little happier. Here are some great cabin options for your summer travels in Ontario’s Southwest. Just 45 minutes from London, Texas Longhorn Ranch is another great option for a one-of-a-kind rural retreat. This bed and breakfast near Strathroy offers overnight accommodation in private covered wagons complete with comfy beds and luxury linens. Guests can enjoy a scenic horseback ride along the Sydenham river, cool off in the huge outdoor pool and relax by the campfire at night. As guests must be over the age of 21 and there are no pets, no televisions, no loud music, this is an ideal choice if you’re looking for a few days of serenity. Fun fact: Texas Longhorn skulls, horns and hides are available for purchase right from the the Ranch. 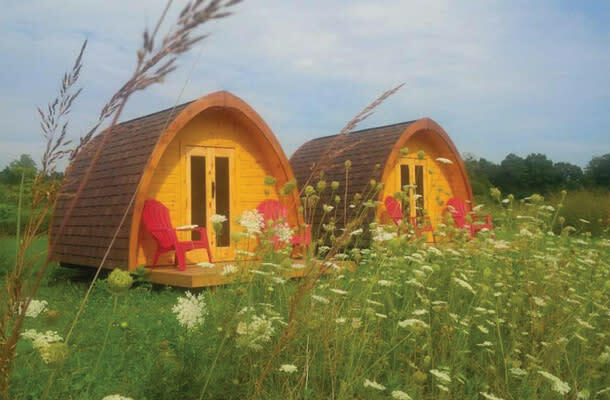 In Norfolk County, Long Point Eco-Adventures’ “Pods” offer a fun alternative to traditional tent camping. Fuel up with a complimentary hot buffet breakfast. 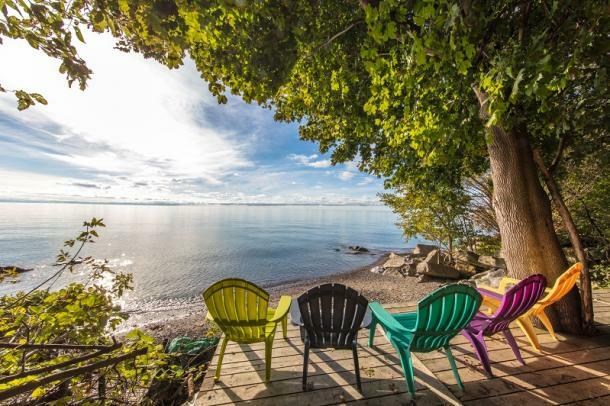 After a day of outdoor adventure including activities like zip lining, kayaking, and mountain biking, relax on the private deck enjoying the amazing view of Lake Erie’s Long Point Bay. At night, enjoy a Stargazing Tour at the Long Point Observatory before crawling into your Pod’s comfy bed. Read about a blogger’s relaxing stay in a Long Point Pod. Fun fact: Long Point is such a one-of-a-kind natural landscape it has been designated a UNESCO World Biosphere Reserve. 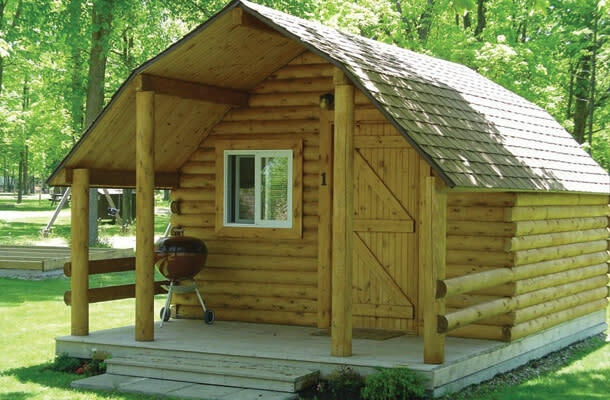 Campers Cove Campground, just down the road from Wheatley Provincial Park and an easy drive to Point Pelee National Park, offers six 12-foot x 12-foot log cabins that each sleep two adults and three children. Interior cabin comforts include a double bed and bunk beds, a bar fridge, air conditioning, and an electrical outlet. Outside there is a covered porch, picnic table, charcoal barbecue, fire pit, water tap, and another electrical outlet. The campground offers 1,200-feet of beautiful beach, clean washrooms and shower stations, a camp store, a snack bar, daily activities for kids, weekend dances, group campfires, movies and more. Fun fact: On-site kayak and bike rentals make it easy to get out and explore the area. Otter River Farm’s rustic cabins and bunkies offer a rural retreat that’s just an eight-minute drive to the beach in Port Burwell. Hike and explore on ten miles of groomed trails, enjoy catch-and-release fishing on two on-site ponds, swim in the spring-fed pond or bring your own canoe or kayak and paddle down the scenic Otter River. 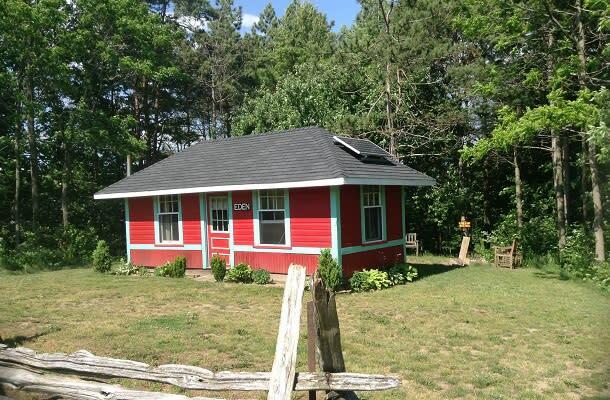 Fun fact: Cabin rental options include an old train station and a cabin made from bales of straw that are both solar powered. 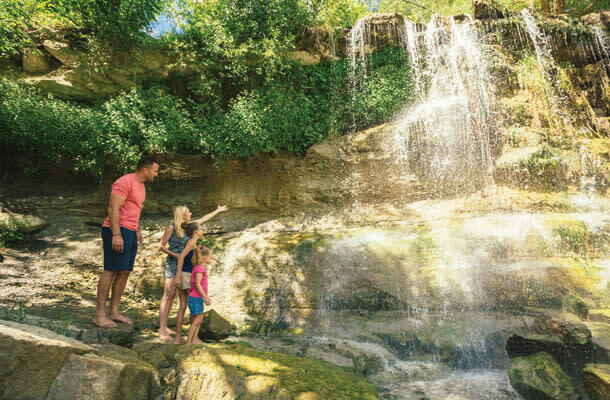 Rock Glen Family Resort, which is just a 40-minute drive from Sarnia, is situated beside a beautiful waterfall and is just a half-hour drive to the sandy beaches of Grand Bend. The family-friendly resort offers a collection of six cabins for rent. All are equipped with a three-piece bath, dishes, pans, a coffee maker, kettle, toaster and microwave, and an outdoor barbecue. Fun fact: Right across the road from the resort there is one of North America’s largest deposits of fossils, which makes for an awesome afternoon of exploring. Did you know you can now stay overnight at Point Pelee National Park? The brand new oTENTik is a unique Parks Canada accommodation providing a relaxing, comfortable and easy way to glamp. The oTENTik is a 19 x 24 ft wide tent, providing plenty of room for families. 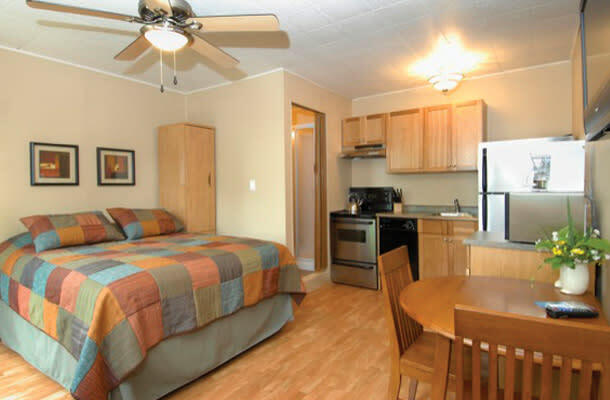 There are two queen sized and one double-sized bed along with a spacious living area with a table and chairs in each tent to make sure you are surrounded in comfort! There are 24 oTENTik nestled in the heart of Point Pelee, making them a great base to explore all the park has to offer. Located on the shores of Lake Erie, Escapes by the Lake has three different cottages for you to choose from! Pick Oxley Bluff and indulge in a relaxing vacation right in wine county; this year-round two bedroom cottage will make you never want to leave! Enjoy the views of Lake Erie at Point Peele Cottage, this cottage features three bedrooms and even has a fully equipped kitchen. Last, but not least live the luxurious life when you decide to stay at Lakeside Luxury! This fully renovated two-story home has three beds, baths, and TWO lakefronts on the property. No matter which cottage you chose it is sure to be the perfect escape. Fun Fact: You can take advantage of special offers from each of participating Windsor-Essex Pelee Island wineries and great offers to Eat, Stay and Play in Canada’s most southern wine region using the EPIC PASSPORT. A value of $100 for just $10! If you’d like to be close to the quaint lakeside village of Erieau, Molly and OJ’s Lakeside Cabin Rentals is a great option. These cabins are just steps from the beach and feel more like small cottages, complete with basic kitchens, linens, and towels. Read about one blogger’s summer stay at Molly and OJ’s cabins. Fun fact: It’s an easy walk to get to Bayside Brewing Company to enjoy a pint of Long Pond Lager. 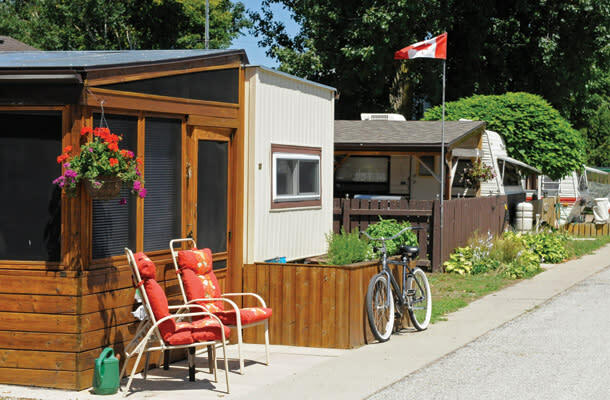 Bayside Vacation Resort offers seven comfortably furnished (think stainless steel appliances and flat-screen televisions) cottages on the shores of Lake Erie that sleep two, four or six and are just minutes away from the beautiful beach at Long Point Provincial Park. Fun fact: Bayside has package rates available for group bookings. What a fun location for a family reunion! 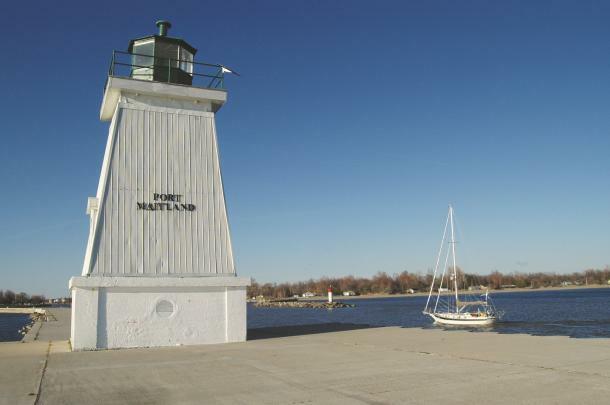 My Lighthouse Cottages offers four cottages conveniently located one minute away from the shores of Lake Erie in Haldimand County. These cottages are newly renovated, fully furnished, and include free Wi-Fi. Whether you are booking a couples retreat or a getaway with the family, you can select the perfectly unique cottage that suits your needs. Fun Fact: You can rent kayak and canoes right at Grand River Marina!.